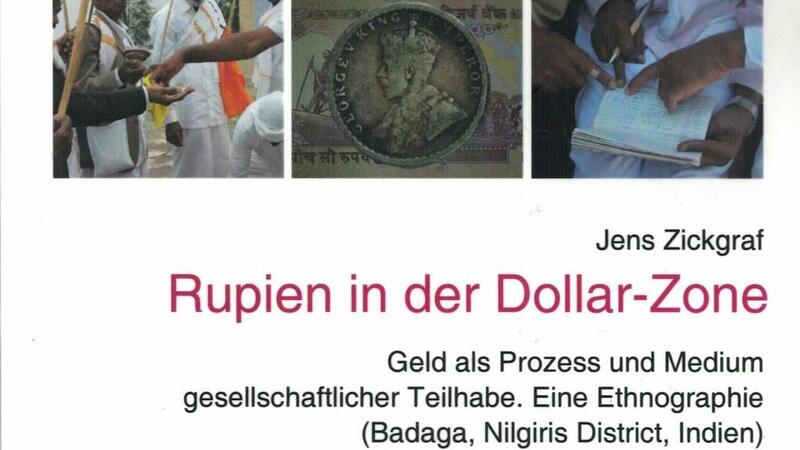 Badagas are the main protagonists of Rupees in the Dollar Zone. 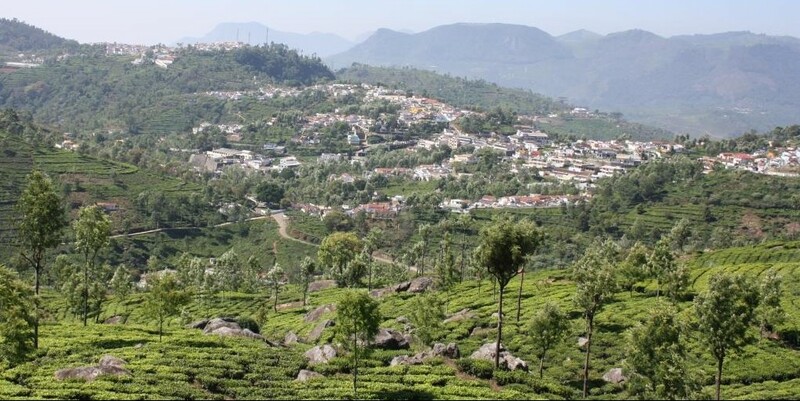 Like the Todas, Kotas and Kurumbas they belong to the indigenous population of the South Indian Nilgiri plateau. With perhaps 300 000 members they are by far the biggest of these groups. An ancient peasant community, they are today closely associated with the local tea industry, but other occupations are common, especially among the young generation. Social and economic change is omnipresent these days. Yet we are certainly not talking of a society that could be understood as static, uncommunicative or non-progressive at any point of history. In the span of 700 years, the Badagas have transcended from a totally agrarian community to a hybrid community of educated professionals and progressive farmers. […]. To the elderly persons of the community, the changes that have unfolded in their lifetime have made many sceptical towards the future. It is the educated young diaspora scattered round the globe that have the bounden duty to sustain their rich inherited traditions and culture. While fitting into the complex matrix of a shrinking global society, adaptability has become a necessity and cannot be avoided. […]. 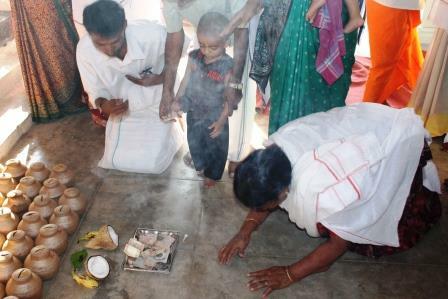 Badaga traditions have always accepted changes that have been beneficial to the community. This tradition of accepting change has made the present generation of Badaga youth more conscious of the need to usher reforms […]. 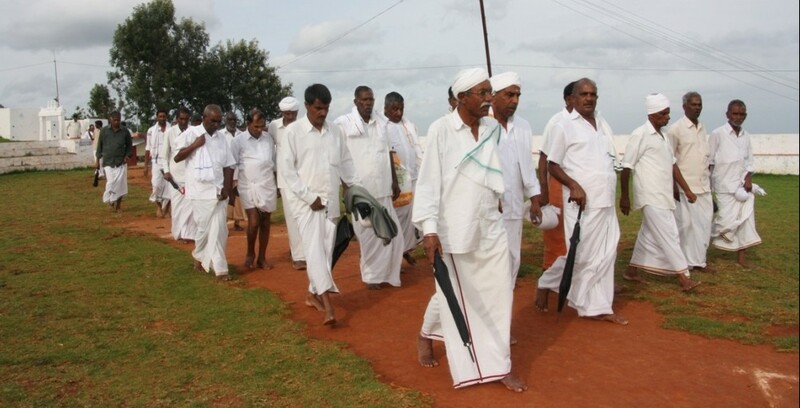 However, vigil is required to prevent the youth from losing their anchor to their culture and embracing alien ways of life that are detrimental to their spiritual and physical wellbeing in the guise of being ‘progressive’(Balasubramaniam 2009: 109). Indigenous (or tribal) communities and their inevitable transformations are often represented in terms of a timeless tradition vs. market-integration, monetization and collapse. 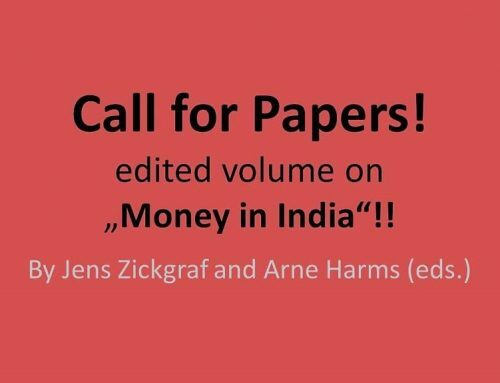 However, reframing the issue as the “tradition of accepting change” not only helps to avoid the rhetoric of projected collapse but sheds light on the active task of participation, conservation and development – a task which seems ‘inclusive of’ rather than ‘triggered by’ monetization. Then he started talking about his job, his father, his sister, his village, the wedding, the drinks which we shared, an upcoming festival, the tea crisis, and … so much more! Indeed, in the years to come I would hardly find anything among Badagas not connected with and through money in some meaningful way. 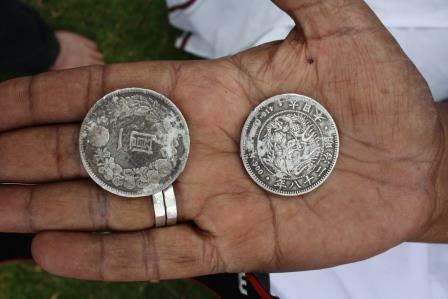 Both, tradition and the tradition of accepting change played their part in what I finally chose to call “local money.” Some of the findings I will post here, bit by bit. Meanwhile, it is also because of such tradition that it is notoriously difficult to provide a general account of “the” Badagas. 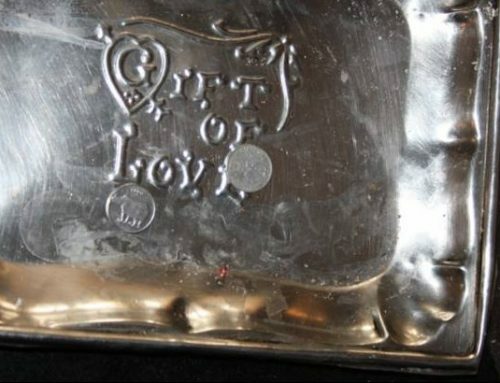 Nevertheless, a few features may be mentioned in the following. Literally ‘Badaga’ means Northerner. The term comprises 10 different and slightly ranked groups or phratries (the term “phratrie” has been introduced by Hockings  in order to avoid speaking of subcastes) who came ‘by and large’ from the northern plains at various points in history and for various reasons. There remains however considerable debate regarding the dates, duration, causes and consequences of their migration to the plateau. 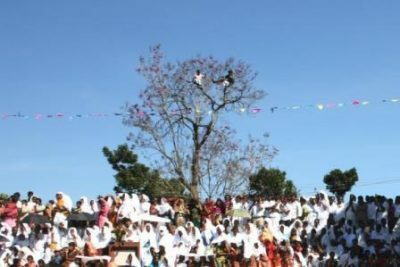 Moreover, while the term Badagas is commonly used to designate all of the differently named phratries, not all of them would always refer to themselves as Badagas in the first place. Badagas are in principle an endogamous society. This means that Badagas should only marry Badagas. The same holds true for each of the phratries. However, some of the phratries do in fact intermarry. Endogamy of course also means that each phratrie is itself composed of two or more exogamous lineages who exchange spouses. 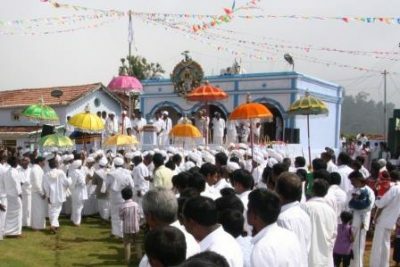 Most Badagas are Hindus, but there is today also a Christian phratrie. 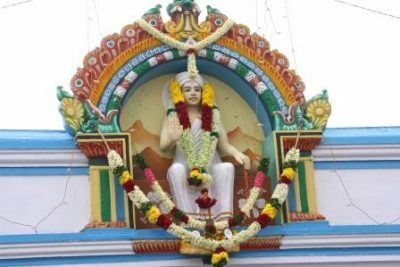 Moreover, regarding the Hindu-phratries, the worship of even recent ancestors is crucial while ancestral founders of the first villages are commonly referred to as Hireodeya who is worshipped as an avatar of Shiva. 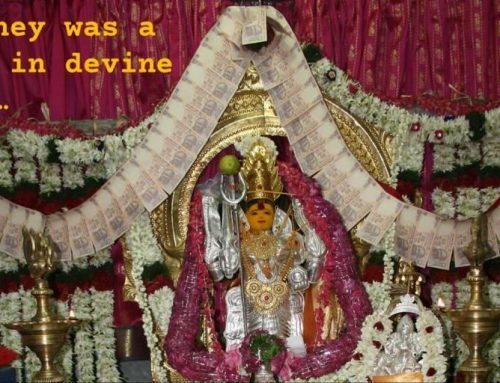 Likewise goddess Hette (often referred to as Parvathi, Shiva’s wife) is seen as an ancestral grandmother (the word hette is also commonly used to address a grandmother). Descent is patrilineal in the first place and settlements are patrilocal. The latter means that girls leave their parental village upon the time of marriage and move at least formally to the village of their husband’s father. However, deviations of that rule are quite common and thus there are often groups of affine origin who live and grow in the otherwise patrilocal village. In fact this is of extraordinary importance when it comes to questions of political and territorial integration of settlements. There are different territorial and political units among Badagas.The first and most basic one is the “house” which also points to the unit of a small family. The second is the ‘keri’ which denotes a row of houses or a small neighborhood. The keri, too, used to refer to a particular lineage, though this does not generally hold true today. Third is the hatti, which means basically ‘village’ but commonly refers to several keris that form a minor hamlet. Forth is the ‘ur’ which may simultaneously denote the first settlement in a particular area and the entire complex of related settlements in that area. The first village may thus be called a head- or main-village for all the associated hamlets that have either been founded by descendants of the former or by other groups that joined later but “bow down” before the political authority of the ur. 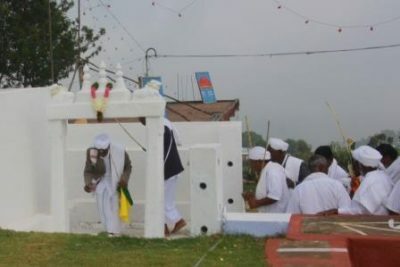 This latter aspect is also symbolically performed in many ways, for example when villagers bow their head in order to pass the akka bakka – a ritual gate which, together with the Hireodeya temple, represents the political authority of the ur. The joint headman, the ur–gowder, is commonly recruited from the main village and presides over a joint council (kutu). 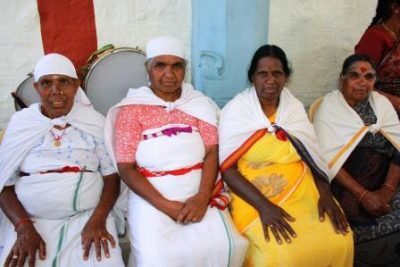 Finally (fifth), several ur are grouped under the authority of the ‘semai’ which refers to one of four basic territorial divisions of the plateau (these are inclusive of the Toda, Kota and Kurumba). Apart from these basic units, there are further units reflecting, for example, particularly close patrilineal alliances between neighboring hamlets. At all levels temples and suttukallu (ancestor stones) fulfill an important role in that their maintenance is both integrating and separating of the various levels mentioned. Likewise, there are often minor headmen selected for each hamlet or keri. Besides such specific elements there are further political institutions such as town panchayats, or political parties that are however not the exclusive domains of Badagas. 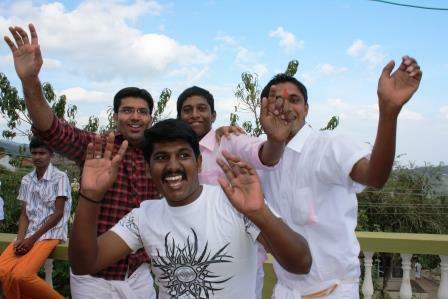 It should also be noted, that many Badagas live today outside the Nilgiris (at least for most of the year). 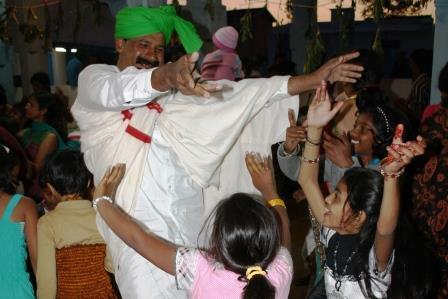 There are also Badaga associations in several Indian cities as well as abroad. Besides that many other aspects are important with regard to contemporary live, but the aforementioned ones still constitute a base for the community, wherever their members live. In very ancient times, the various phratries of the Badagas possibly pursued a range of specialized occupations. The largest phratrie, the Gowders, however, were predominantly cultivators and by and large agriculture was for many centuries the economic mainstay of the Badagas. In precolonial times (up to the early 20th century) Badagas practiced barter exchange with Todas (pastoralists), Kotas (artisans) and Kurumbas (forest dwellers, magicians) who also provided some other services. 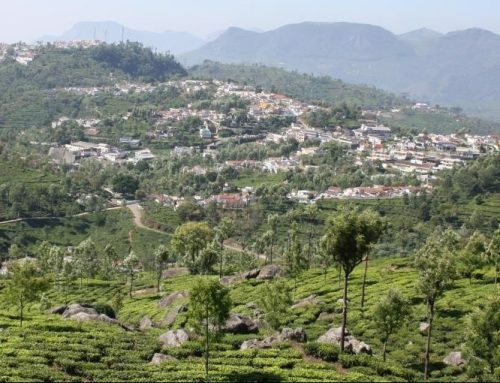 However, there were also trade relations with some market villages in the plains and some regional chiefs did collect land revenues from the Nilgiris and from the Badagas, in particular. In British times, Badagas adopted a number of new field-crops and also started working for wages on British tea and coffee plantations. Some became building contractors and successful entrepreneurs. 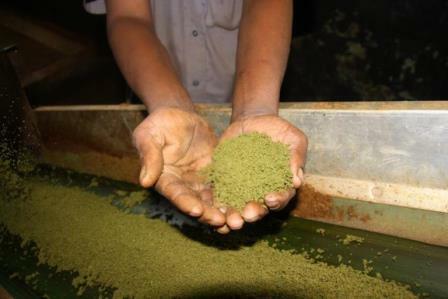 During the second half of the 20th century Badagas entered the tea business. There were other businesses as well, but until recently the so-called bought-leaf tea industry became their major source of income. Badagas were among the major local employers. 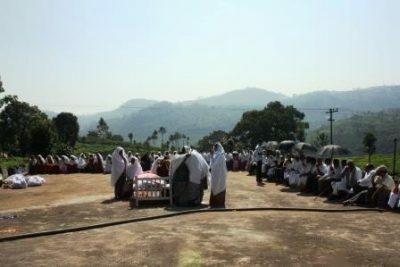 In some areas such as the Dollar Zone large numbers of Tamil Repatriates from Sri Lanka started settling and became the major workforce for local Badagas. Today a majority of local small growers, leaf-agents and factory owners still recruit themselves from the Badaga community. Apart from that higher education is quite common among the younger generation. 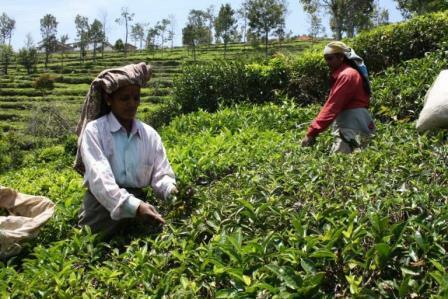 Partly due to a prolonged depression of tea-prices labour migration is of strong relevance. Mobility and occupational diversification are great these days. There are also great differences among Badagas regarding family incomes. Badagas are proud of and also well known for their hospitality. As a foreigner you can thus hardly pass through a Badaga village without accepting one or more invitations for tea or coffee or even a full meal in somebody’s house. The same is true when a Badaga visits another Badaga village. 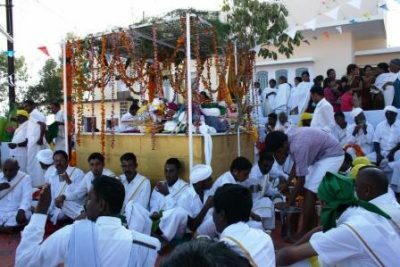 Hospitality, the visit of houses and the treatment of guests are not only an everyday practice but also important aspects in ritual occasions, weddings, funerals and religious festivals. Regarding the latter there is even considerable competition among different families, villages or neighborhoods regarding for example the privilege of organizing or contributing to public feasting. Such feasting in turn can include several thousands of guests. Singing and dancing are sophisticated means of communication. Songs deliver to posterity both the contemporaneous and the great oral lore of ancient times. Every year there are numerous albums released by artists of the community. Badagas have a characteristic dance that comes with many variations and is equally popular among young and old generations, gents and females. 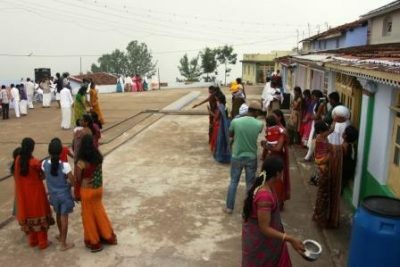 Great are also the festivals and processions that are celebrated in honor of village deities and ancestors. Performing some ancient rites is just one aspect. 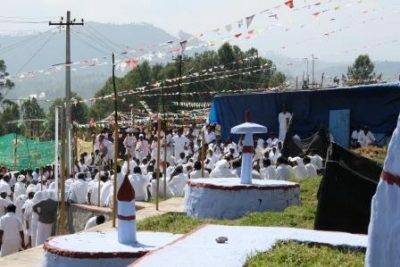 Festivals are important occasions when migrant sons and married daughters return to their parental homes and villages. It is also here where ancient links between the ur and the hamlets are thematised, articulated and confirmed. 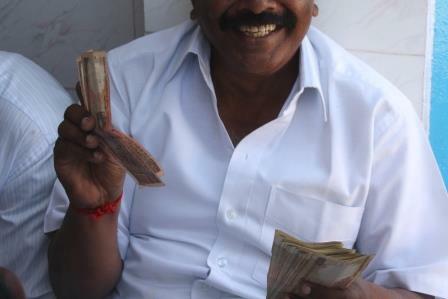 Regarding the latter monetary flows before and during festivals are particularly instructive. Networks and social relations: From the perspective of a western observer, networks of kin- and friendship as well as of patronage are impressive and not least of substantial economic relevance. For families and individuals this results in complex responsibilities, hierarchies and obligations. 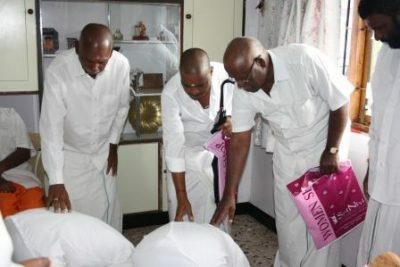 ‘Respect’ is an important norm of social interaction, particularly between elders and younger members of the community. Yet relations between generations are also affected by individual property (as opposed to joint property) and land sales as well as by the fact that many young boys, and with increased regularity also girls, contribute major shares to family incomes. Age, money, gender, occupation, inherited and achieved status are incommensurate but regarding the social norm of respect each may be a constituent. Gender: This is at once an issue of great relevance to the maintenance of tradition and community, and, in recent days, a subject of continuous debate and reform. There are also considerable variations depending on class and family. Girls are exchanged between affine patrilineal and patrilocal groups. Being, in a sense, the pawn of long-term reciprocal relations between such groups is thus both their burden and their particular position (and value and power) in society. Girls also won’t inherit their fathers’ land. Women don’t have a voice in the village assembly and are excluded from representative (traditional) offices. Yet these are indeed aspects that are seemingly changing. 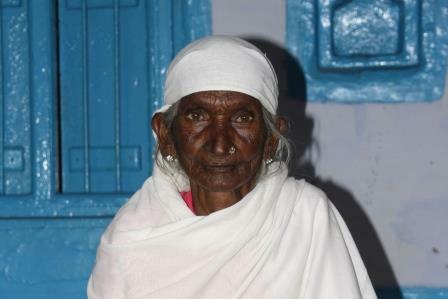 In some villages women are for example already attending the village assembly (at least the minor hatti- or keri-councils) and many parents are in fact committed to providing equal shares (even) of (landed) property to their sons and daughters (this is often but not always supported by village elders). Most young girls are equally educated, and female Badagas are also not immobile these days. Many have acquired modern jobs and continue to work even after marriage. Some are influential as self-help-group leaders, union-presidents or activists. Last but not least, females are influential in the sphere of finance and indeed this is something as revealing as it tends to be overlooked or misunderstood. 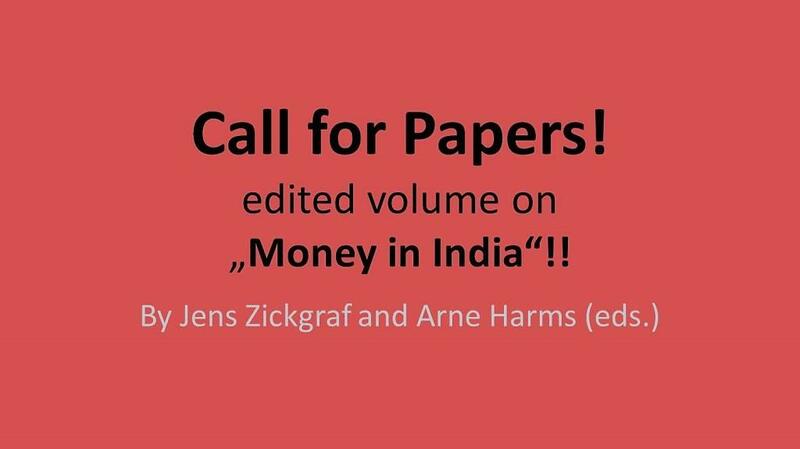 Finance: One of the big topics that draws multiple aspects of communal and economic life together. Debts, loans and investment include formal and informal infrastructure, micro-and big finance. Financial networks create and represent social structures, power and individual relationships. Within these networks many Badagas are simultaneously debtors and creditors. The dialectics of community – Solidarity and competition: Both are values in their own right. Both are a matter of perspective. Both are dialectically interwoven: Individualism is a motive, but not a primary value in India (at least when compared to western countries). It is a strong imperative that Badagas should cooperate and show responsibility towards each other not least in order to keep the entire community strong with regard to an external world. 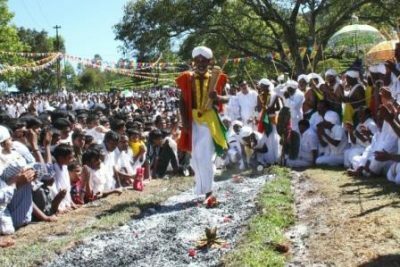 Yet there are as many competing interests and different communities among the Badagas themselves as there are villages, keris, hamlets, temples and houses; or clans, lineages and families; or friendship circles, professions, classes, political parties etc. Negotiating such spheres with and against each other is part of the challenge that every individual Badaga must face in the course of his life and of course this also means competition, even fraud and frequent conflict at various levels. It is however not the principle as such that could tell anything about Badgas but the complexity, dynamics and yet internal logic of its manifestations, negotiations and reconciliations – political, social, economic, spiritual and ritual. Hence, if 300 000 Badagas are indeed to be called a community it is crucial to see that while the very idea of community is based on solidarity it is competition and tensions among kinship-groups and territories that keep their shared identity as Badagas (i.e. “Northerners”) and the idea of communal activity/solidarity alive. 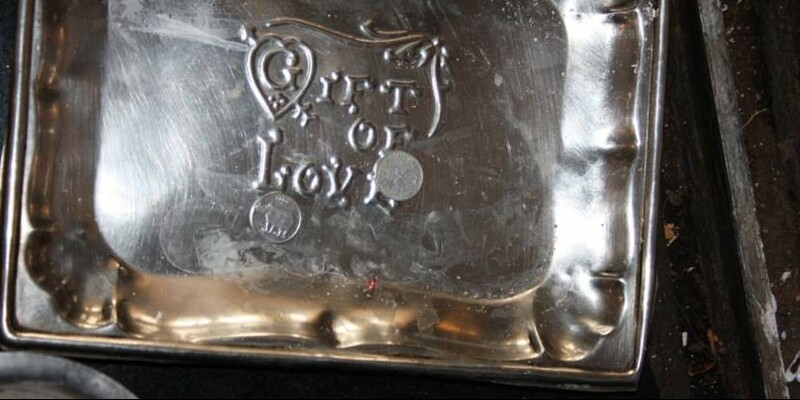 All of these aspects and much more are interwoven when it comes to “Rupees in the Dollar Zone”. 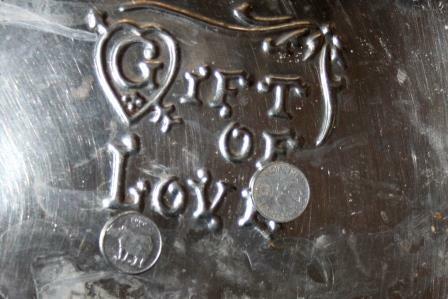 Following the flow of money – a “total social fact” in Maussian (1925) terms – does not only offer a clue to the dynamics of social and economic change but also provides deep insights regarding the question how a community’s values, traditions and social ties are made, re-made, contested and interwoven. Yet, what really seems to matter from an anthropological point of view is the question what kind of a general lesson about money we might even have to learn from a people like the Badagas. 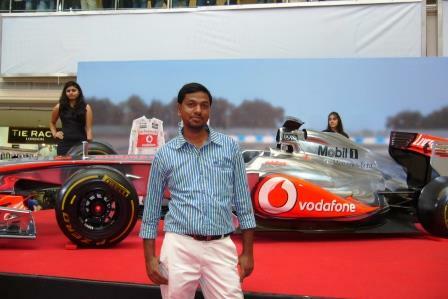 Balasubramaniam, B. 2009. 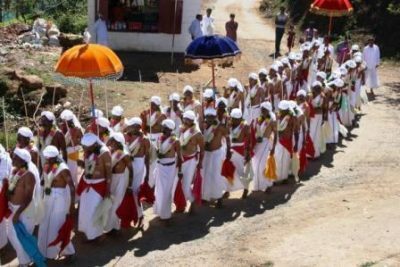 Paamé: The History and Culture of the Badagas of the Nilgiris. Bangalore, Elkon. Halan, J. 2012. 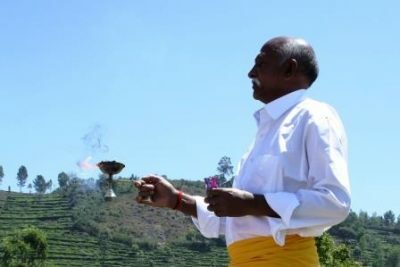 The Indigenous Badugar of the Nilgiris. Coonoor, Lakshmi Publishing House. Kullan, T. M. 2006. 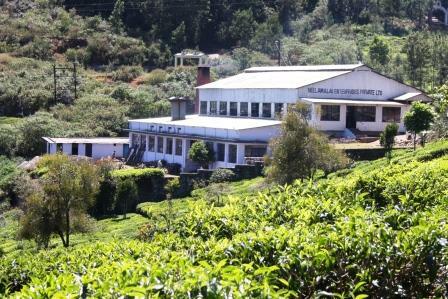 Toxic Tea Market in the Nilgiris, Nilgiris Profusely Bleeds, Save Nilgiris’ Classic Tea. 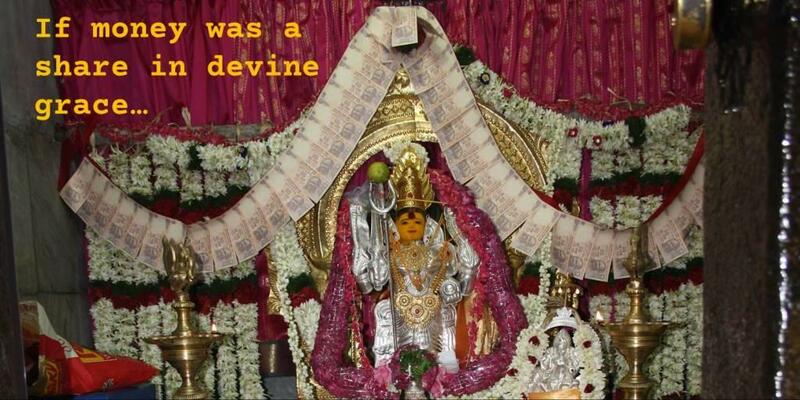 Coimbatore, Hill Teq Prints. 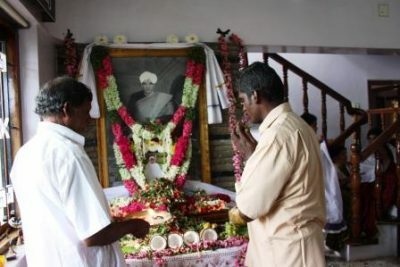 Venugopal, Dharmalingam (ed.). 2011. A Guide to John Sullivans ‘The Nilgiris‘. Kotagiri, Nilgiri Documentation Centre. Venugopal, Dharmalingam. 2012. 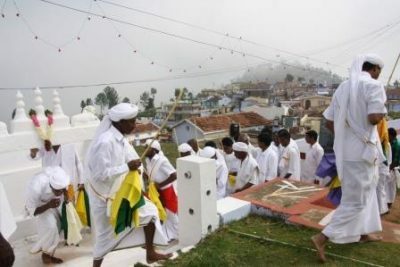 Rio to Rio + 20: Saving the Nilgiri Mountains of South India. Kotagiri, Nilgiri Documentation Centre. Heidemann, Frank. 2006. 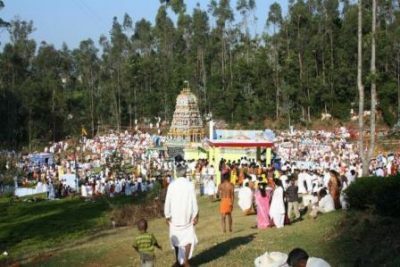 Akka Bakka: Religion, Politik und Duale Souveränität der Badaga in den Nilgiri Süd-Indiens. Berlin, LIT-Verlag. Hockings, Paul. 1980. Ancient Hindu Refugees. The Hague, Mouton. Hockings, Paul. 1999. Kindreds of the Earth: Badaga Household Structure and Demography. New Delhi, Sage. Hockings, Paul. 2013. So Long A Saga: Four Centuries of Badaga Social History. New Delhi, Manohar. Zickgraf, J. M. 2015. 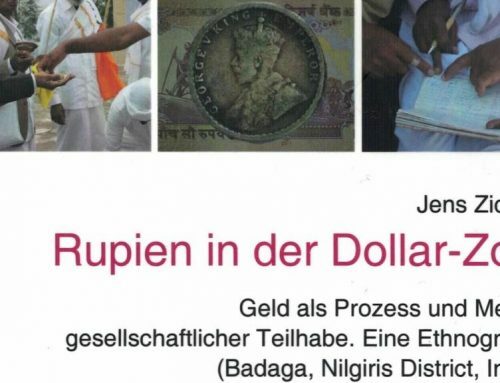 Rupien in der Dollar Zone: Geld als Prozess und Medium gesellschaftlicher Teilhabe – eine Ethnographie über das lokale Geld der Badaga in den südindischen Nilgiri. Munich: Ludwig Maximilians University (Dissertation thesis submitted 14.10.2015, forthcoming).